Resistance Trooper Battle Pack (LEGO 75131-1) is a Star Wars: Episode VII The Force Awakens set released in 2016. 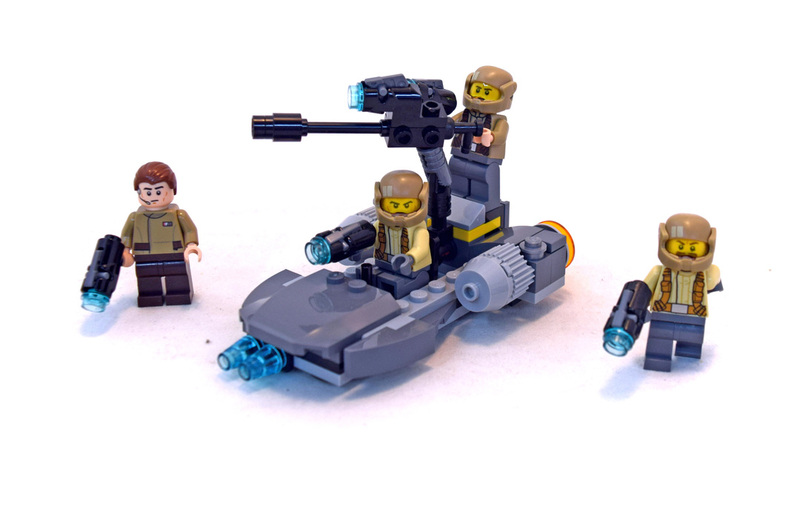 You get 4 resistance fighters and a neat gunship. That have pretty unique and cool helmets. The guns can fire too. Set comes with 4 minifigures and 112 pieces.